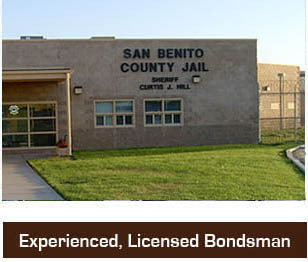 We provide bail bonds in San Benito County and surrounding areas. Call 1-800-662-0056 for immediate 24 hour bail bond assistance in San Benito. We are California licensed bonded and insured and guarantee satisfaction. We offer quick reliable service. We take pride in serving our clients. We understand that being arrested usually happens at the most inconvenient times and usually is an inconvenience for family and friends posting bail. That is why we make it as easy as possible with our bail by phone or fax program. This allows you to go about your day while we handle all of the paperwork and details involved in obtaining the release of your friend or family member. We are committed to being NUMBER ONE in our industry and we demand excellence from all of our bail bond agents. That is why Attorneys choose us first. They have come to rely on the service and excellence we provide them and their clients. Attorneys are very selective about who they refer their clients to. They would not refer to us if they didn’t trust us. 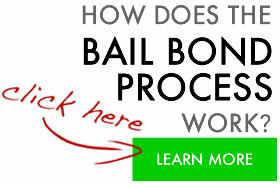 For assistance with bail bonds in San Benito County call us toll free at 1-800-662-0056. A professional agent is standing by 24/7. If you need a bail bond in another area please call our toll free number and you will be routed to an agent near you.